Ecological Wool® is 100% Natural Peruvian Wool that's undyed so the colors are just as they come from the sheep. 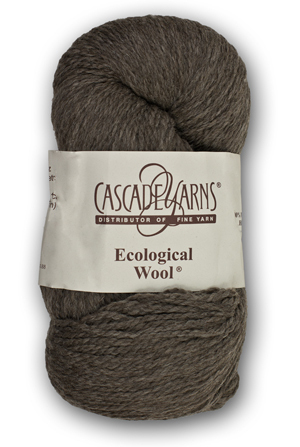 Soft and wearable, this wool is perfect to either knit up some warm and cozy garments or for felting accessories. The yarn comes in solids or marled colors and big, generous skeins.